I am still trying to catch up everywhere in life but finally I can share the Birthday dress mentioned here and here. I love how it turned out. There are always things you wish were better but I have learned long ago as Jeannie B says "to strive for the appearance of perfection, not perfection itself." Remember I used the full smocked bodice pattern from AS&E, Issue #73 called Powder Puff. The design and pattern adjustments are from Creative Needle Nov/Dec 1999 called "First Birthday" by Cindy Foose. 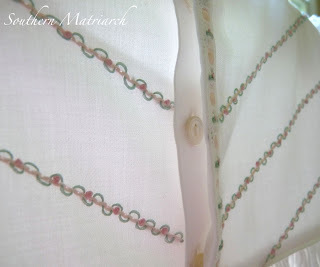 The fabric is satin batiste, trimmed with tatting from BessieMary. It is BTS-214. The threads used are floss, floche and coton a broder. 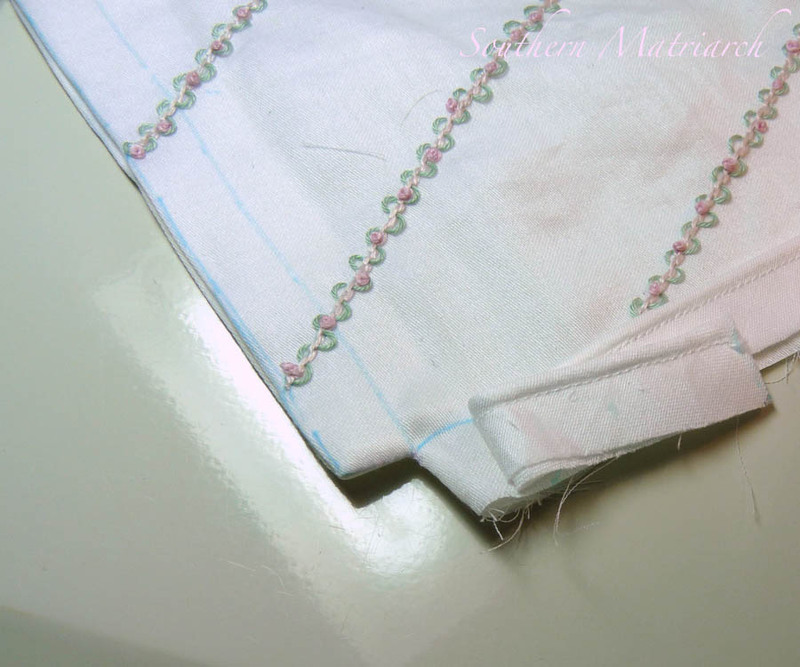 The Swiss insertion used for the back placket and sleeve cuffs was also from BessieMary. I will admit to some confusion when I got to construction of the lap extension and hidden placket but after talking it over with BessieMary herself through texts, phone calls and a few laughs, it came together. The hidden placket is covered with re-embroidered Swiss insertion. So sweet. Another cool technique was the embroidery for the back yokes. The "cable" look is achieved by alternating a stem stitch with an outline stitch. The result, cables! Who knew? 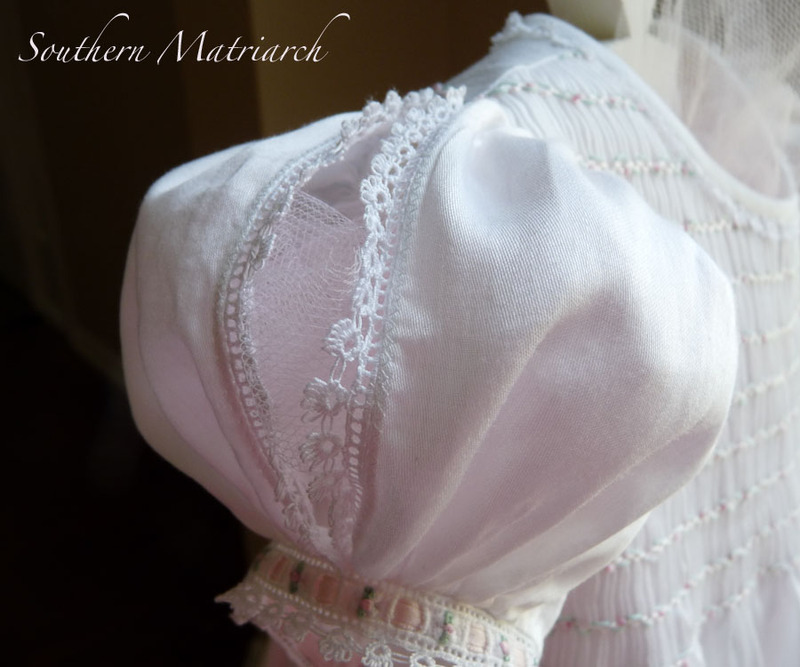 I love the little sleeves on this dress. It is called a butterfly sleeve because the two halves separate like wings. 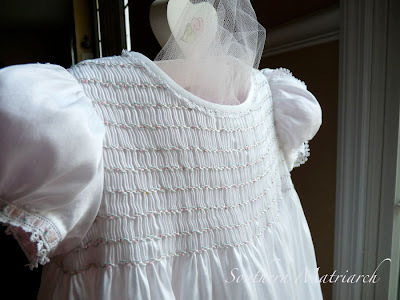 This is exaggerated with the tulle pushed through the opening, but it gives you an idea. 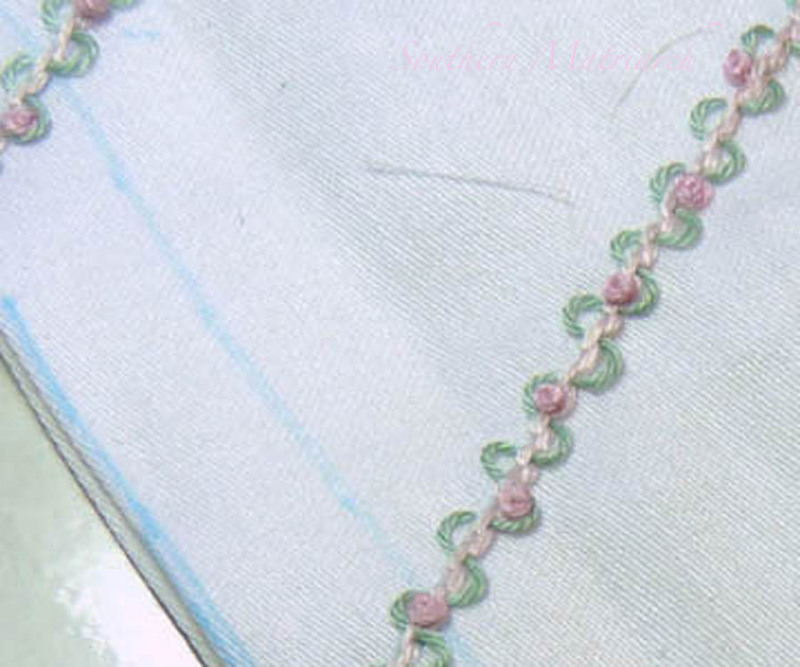 The openings are trimmed with entredeux and tatting. 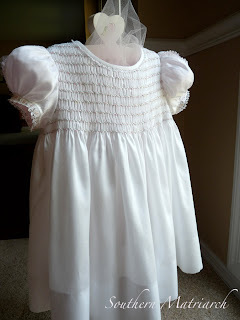 The slip is also made from satin batiste using the same pattern is this dress. So quick and easy. Yet so pretty. 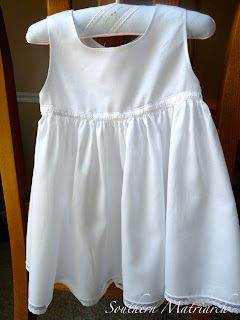 I used white ribbon through the beading so it can be worn under other dresses. 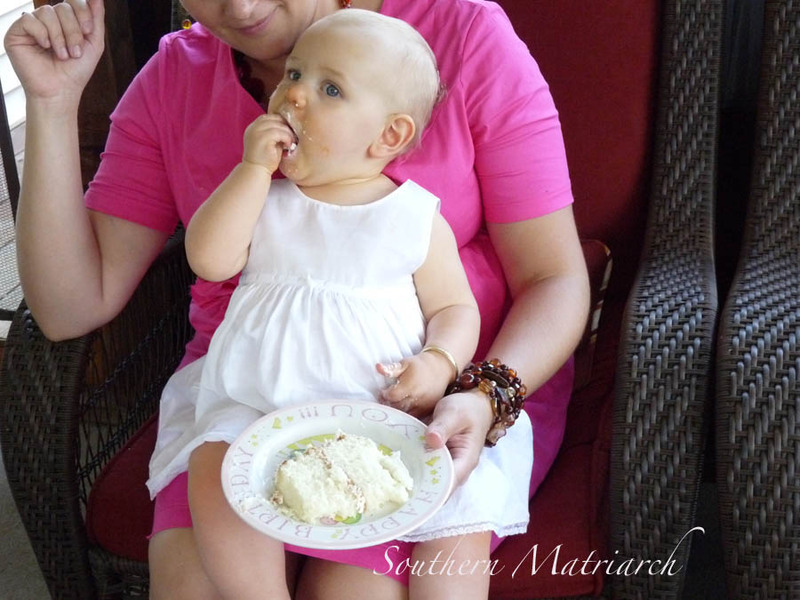 Best of all is celebrating the Princess's first birthday. Here she is in all her glory. Precious girl ready to celebrate her big day. This is before the party. Remember this is in the midst of a record breaking heat wave in the Midwest. By cake time she was so hot and so over it all, she had cake in her slip, in mommy's lap. She was done! Thank goodness the slip was finished and was pretty. She is a smart girl, she only wanted the icing. Thank you, faithful reader, for letting me bore you with the details. If you are here in the States, I hope you are staying cool. You do such beautiful work!! As usual the birthday dress is perfect! Love everything about it!! Looks like it was fun to make. Wish I still had a little girl to sew for. I've been lurking here awhile (from the delphi forum). Just surfacing to say what a lovely dress, and an even lovelier baby. I'll have to check that placket out - it looks great. 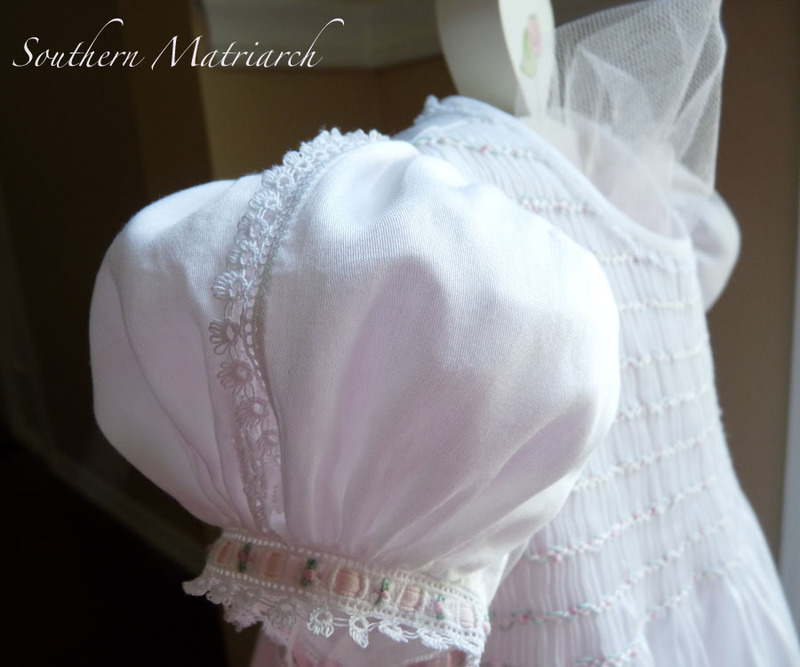 A dress perfectly appropriate for a princess. 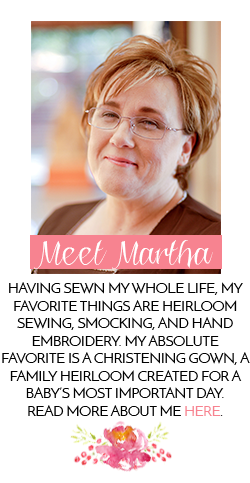 This is so lovely, Martha. It turned out so well. It will be a treasure even for the next generation. Priceless. The dress is beautiful and your little princess is such a doll!! This is just priceless. I can only imagine the hours that went into such a special dress... I am sure she will treasure it! Just beautiful details and I absolutely love the sleeves!!! 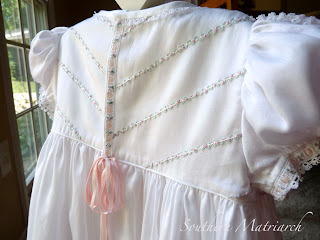 It wasn't a bore reading... in fact I was scrolling faster than I could read and sewing/smocking is always a GREAT read! 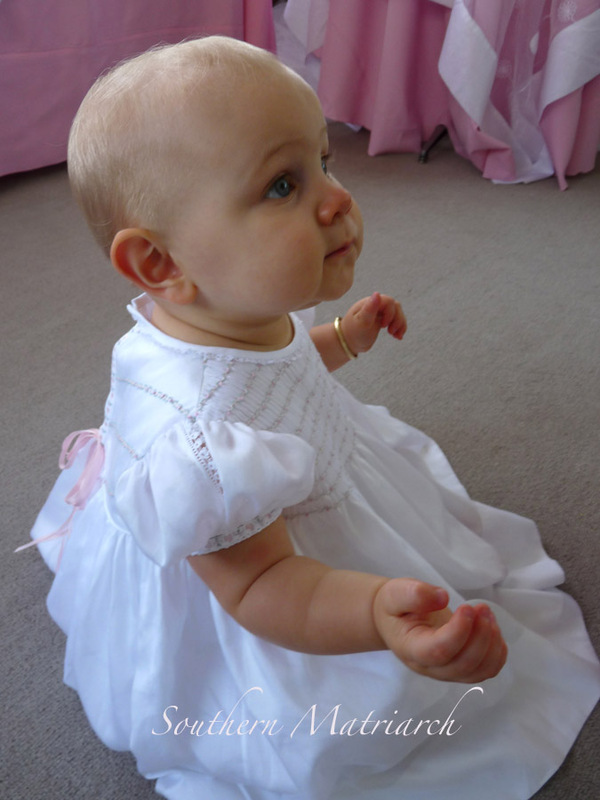 I never tire of reading your words and seeing your perfectly dressed princess! We did have some serious fits of giggles, which I loved. It was you who made it all beautiful, though! BEAUTIFUL! Actually, that word isn't descriptive enough! I am so glad that you showed all the details in the photos. I am so impressed! You made a 'memory dress' that will be carefully saved for future babies to wear. Bravo!